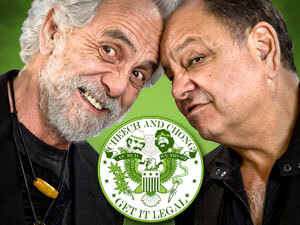 As traditional as turkey at Thanksgiving, the Cheech and Chong Dot Com Holiday Auctions are once again returning. We've been accumulating tons of C and C memoribilia all year to give to loyal fans. The auctions begin in mid-November and it's a great opportunity to score some rare collectibles. They make far-out stocking stuffers! Also, be sure to pick up Anthology featuring Cheech and Chong's Santa Claus and His Old Lady.